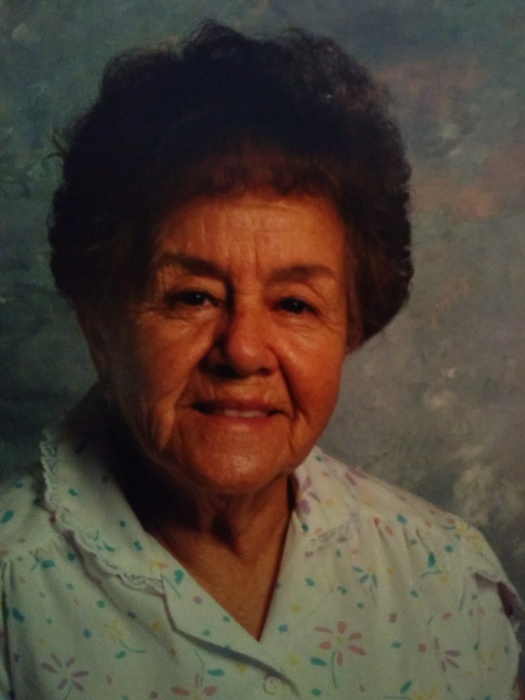 Ana L. Vargas (101) of Silver City entered eternal rest on July 24, 2018 at Gila Regional Medical Center, surrounded by her family. She was born July 26th, 1916 to Guadalupe and Maria Lopez. Ana was an amazing woman who lived a long and prosperous life filled with love, and loyalty to her family. In her younger years she worked as Nurse's Assistant for Dr. Dove and at Western New Mexico University cafeteria. She survived the Great Depression, was widowed twice and lived a life working hard. She loved yard work, was not afraid to get her hands dirty and yet was a true definition classy. Ana lived for helping those less fortunate and will be remembered as a Mother, Sister, Grandmother, and a friend who loved candy and would inspire the world with her kind heart and loving ways. She would send food to those who had none, provide work at her home to those who needed money, and open her home to those who needed shelter. She did not judge others and only displayed compassion and empathy to others. She was a true exemplary example of love. Six generations of family in existence at one time is a beautiful legacy she leaves behind. She is survived by her daughter Helen Abeyta of Silver City; two sisters, Helen Villalobos and Natalia Ybarra (Richard); four grandchildren, ten great-grandchildren, 27 great-great grandchildren, and four great-great-great grandchildren. Ana also is survived by a special sister-in-law, Toni Lopez who was always there with her love and support. Ana was preceded in death by her parents, Guadalupe and Maria; her first husband, Ignacio Medina, ; her second husband, Manuel Vargas; grandmother, Serapia Pena; brothers, Albino Lopez, Adolfo Lopez, Danny Lopez; sister, Bessie Licha; granddaughter, Catherine Abeyta; two great-great granddaughters, Jazzmynn Bejarano, and Sofia Arias. Visitation will be from 5 to 6 pm on Sunday, July 29, 2018 at Baca’s Funeral Chapels where the recitation of the Holy Rosary will follow at 6 pm led by Deacon Bill Holguin. The Funeral Liturgy will be at 10 am on Monday, July 30, 2018 at Santa Clara Catholic Church with Father Robert L Becerra, officiating. Concluding services and burial will be at St Vincent de Paul Catholic Cemetery. Serving as pallbearers will be Francisco (Tiko) Abeyta, Jason Abeyta, Robert Abeyta, Manuel Romero, Alize Romero, and Amiya Abeyta. Honorary bearers will be Gilbert Abeyta, Freddy Villalobos, Michael Abeyta, Anthony Abeyta, Christina Abeyta-Corella, Anna Pena, Genevieve Pena, Alicia Pena, Sally Abeyta, Cathy Romero, Ramon Romero, Angela Cuellar, Patricia Abeyta, and Isaac Cuellar.